alaTest ha raccolto ed analizzato 12 recensioni su Remington IPL2000. La media della valutazione per questo prodotto è 3.4/5, confrontata con la media della valutazione di 4.3/5 per altri prodotti. Abbiamo analizzato differenti valutazioni di esperti ed utenti, età del prodotto ed altri elementi. A confronto con altri prodotti, Remington IPL2000 ha ottenuto un alaScore™ complessivo di 83/100 = qualità Molto buono.
" 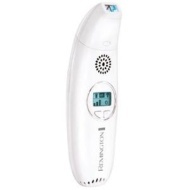 .Good product well priced great service friendly staff would use store again "
Remington IPL2000 i-Light Reveal IPL Hair Removal System.
" Works really well starting to discover the results, would recommend good quality for its price "
" This product is really easy to use and has changed my life! " This product is really easy to use and has changed my life!
" This product is compact and easy to use. It seems to be working already so time will tell whether the effects are long lasting or not. " This product is compact and easy to use. It seems to be working already so time will tell whether the effects are long lasting or not.
" Really good product. Easy too use and good price. Would recommend this! " Really good product. Easy too use and good price. Would recommend this!